What should I consider before buying a spa? Budget is a good place to start. The following items need to be considered in your budget. *Not applicable to most indoor bathroom installations; check with your local building authority. 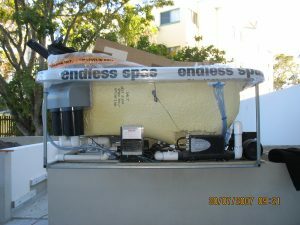 There are 3 types of spas with 5 installation methods. *Outdoor models can be installed indoors, however adequate ventilation, drainage and non slip flooring will need to be incorporated within the indoor room. Delivery depends on the type of spa chosen and the access available at the delivery site. Electrical connections of the equipment. 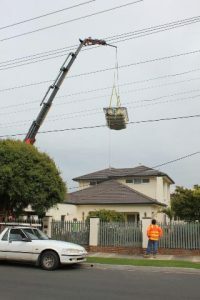 Gas connections are required only when a gas heater is supplied. To comply with pool fencing regulations and Australian Standards a permit must be obtained from either your local Council or you can appoint an independent building surveyor. A building permit is written approval showing that your plans and specifications comply with building regulations, and allows building work such as the installation of a spa / swim spa to start. 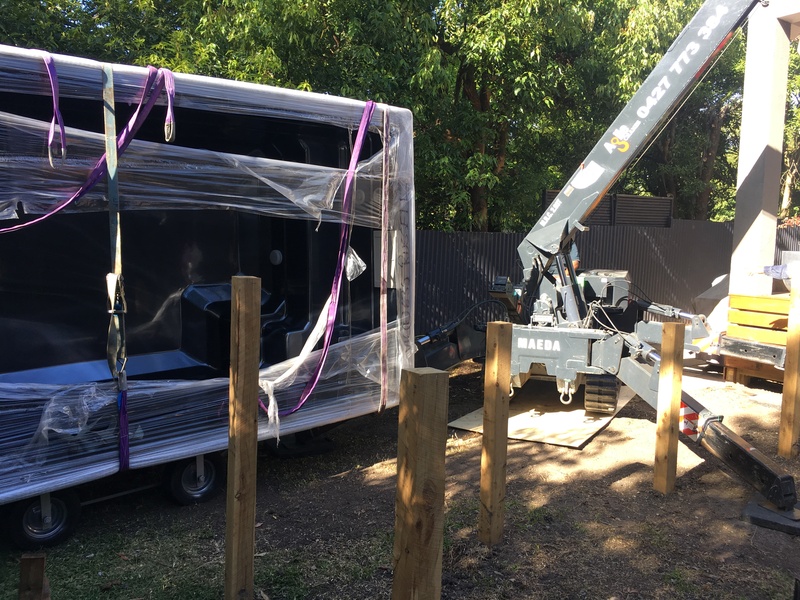 Swimming pools and spas with a depth of more than 30cm (including inflatable or relocatable pools and spas) must have safety barriers that meet the Australian Standard. 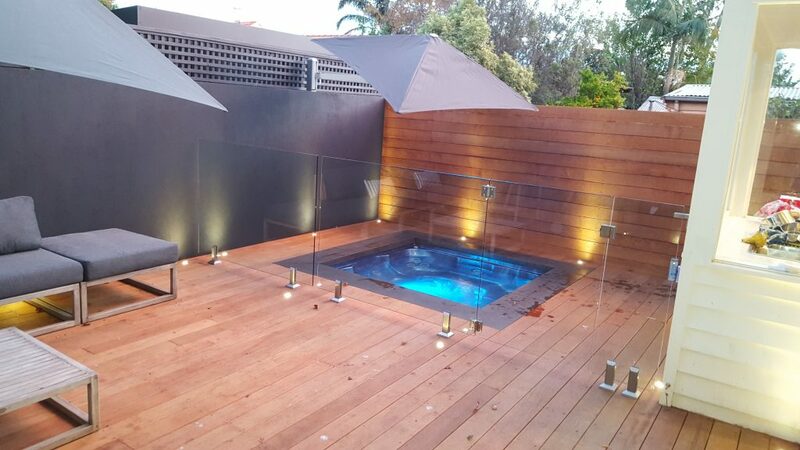 All pools and spas built since 2010 require a four-sided safety barrier or fence, with no direct access from the house to the pool or spa surround. Details can be found on the Victorian Building Authority website. Turn your backyard in to an amazing spa retreat with landscaping. Add a gazebo, decking, plants, paving, furniture, fire pits, external lighting etc. Important questions to ask the spa retailer? Choosing a spa can be a very daunting experience for a first time spa buyer. Endless recommends that you do your research before you get yourself into hot water. Make an ‘informed’ decision by asking the ‘right‘ questions. Asking the questions below will ensure you buy the ‘best valued‘ spa for your needs. What size options are available in spas? What items come in the standard spa package? What spa seating configuration options are available? How many people can a spa accommodate? How many models do you have for me to choose from? How many models are on display in your showroom? Do you hold stock for immediate delivery? Does the spa meet Australian standards? 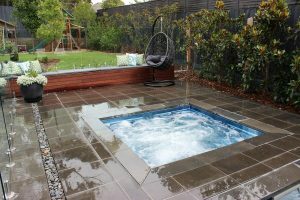 Do I buy a spa that is installed above ground or in-ground? Why are your spas dearer / cheaper than other spa retailers? Why don’t your offer the options available with other retailers? What number of jets are best? Are all jets hydrotherapy jets? Do I have to use chemicals in my spa? What choices do I have? What appliances are there available to reduce chemical use ? What heating system is available? Is it efficient? What filtration system is available? is it energy efficient? Should I buy an Australian made or an Imported spa? Why? Can I see / read your Customer Charter/ Promise? What help do you provide after the sales has been made? What help do you provide after the spa has been delivered? Do you carry spare parts and are they available on line? Can you show me your customers’ feedback? Can I meet your dedicated customer service person? What are your credentials? What are your experience and qualifications? Have you won any Australian awards? What do spas cost - value versus price? What Do Spas Cost to Buy? People think there is no answer to this question, but they are wrong. A piece of string is twice as long as it is from one end to middle. However long you cut it. The problem is that you still do not know its real length. What size of spa can you fit? What type of spa do you want? What spa features do you value? What spa fittings do you value? 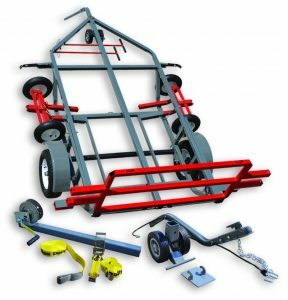 What equipment is required and valued? What quality of the equipment and spa is valued? What country of origin is important to you? You will have your answer to your question; what does your spa cost? Endless offers promotional pricing from time to time. Expect to pay anywhere between..
What is more important to you, value or price? Why do people buy from Endless? Endless Spas encourages feedback from our customers on a regular basis. This feedback is collected at the Endless monthly, complimentary, in store, spa classes. We asked our customers why they bought from us, rather than our competitors. 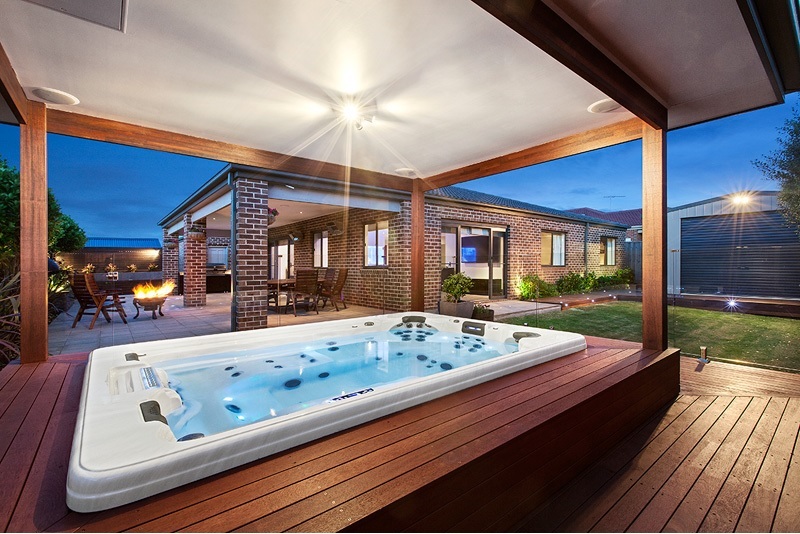 Endless Spas is the only spa company to win the Victorian Spasa Award for Best Retailer – now 15 consecutive years in a row. What is the Endless sales process? Agreement to enter into a contractual arrangement with 30% deposit. Spa / Pool availability and proposed delivery date. Key information regarding installation and delivery requirements provided and signed by customer. Email notification when spa / pool is due into stock. Email final payment due and delivery date proposed. Call for final inspection (PERMIT) on pool fencing*. What are the benefits of salt water spas? Spas are one of the oldest forms of heat therapy and have been used for recreational and restorative purposes since the Roman Empire. While most people are familiar with spas using chlorinated or bath water, salt water spas have some unique and beneficial characteristics. Salt water has a natural sanitizing effect that fresh water does not. The sanitizing effect of salt means that a salt water spa needs less chlorine for disinfection than fresh water … Less chlorine means fewer irritations to the skin and eyes. With fewer chemicals, a salt water spa also has a more natural smell. The combination of heat and salt water can be an effective way to treat swelling and oedema. The hot water opens pores, while the salty water draws fluid out of the skin. Salt water spas can be used to reduce painful swelling from overexertion and exercise. Salt water spas especially ones with whirlpool capabilities, can be used to release both physical and psychological tension. Hot water helps relieve muscle tightness, while the water jets can massage and further loosen muscles. While spas are often used by athletes for their restorative effect on muscles, everyone can use them for relaxation. One of the disadvantages of heavily chlorinated fresh water is the drying effect on skin. Salt water, by contrast, has a softening effect on skin. Salt is a common ingredient in many skincare products. According to the Arthritis Foundation, heat therapy methods like spas can be used to relieve joint pain. In addition to the pain relief from the heat, the water provides an almost weightless environment that relieves stress and pressure on joints. What are the benefits of spas? We surveyed our customers to find out the benefits they received from using their spa. Able to lower blood sugar levels. The Reasons Behind the Benefits They May Not Have Been Aware off…..
Arthritic Pain, Fibromyalgia –A trip to the masseuse is sometimes the only relief that sufferers of chronic arthritis and joint pain can find. Your spa is literally your own personal mechanical masseuse, at your beck and call whenever you need it. The added benefits of heat for better blood flow and buoyancy to relieve the strain of gravity on your frame make the spa an ideal treatment for both disorders. Better Sleep –Heat brings down the body’s internal temperature, allowing for natural relaxation. Unlike the use of medications and prescription sleep aids, the circulation and warmth of a spa encourages the body to unwind and rest on its own, leading to a more restful sleep. Type 2 Diabetes –A recent study in the New England Journal of Medicine shows that sufferers of Type 2 Diabetes can benefit from regular use of a spa. Most diabetics are unable to endure rigorous activity, and have difficulty with weight and circulation. The study revealed that sufferers experienced a significant decrease in blood sugar levels, and improved sleep after spending 30 minutes a day in a spa. Lower Blood Sugar Levels – Dr Steve Faulkner of Loughborough University investigated whether there were any alternatives to exercise which could assist people in maintaining the condition. He found that a soak in the spa reduces peak blood sugar levels by 10 per cent more than an hour cycling, and increases energy expenditure levels by 80 per cent burning 126 calories per hour. Recovered quickly from injuries – While you are in the hot tub treating your injury, gently extend and stretch the muscle in the warm water. Let the massaging jets act like your personal masseuse; massaging your injured muscles back to top shape. A spa is a known way to prevent muscle strains and sprains so you don’t get hurt in the future. Will an inground spa fit into my backyard? 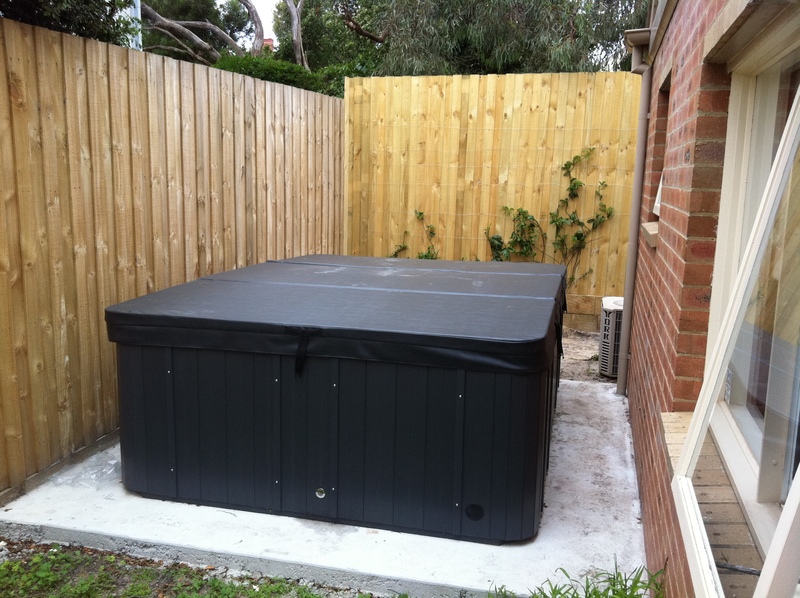 Items that may prevent you from installing an inground spa or plunge pool into your backyard. 1. Do you have enough access for this machinery to enter your backyard? Each spa/pool inground installation typically requires some form of excavation work to dig a hole for supporting the shell. Machinery involved includes an excavator (digger) and a bobcat. 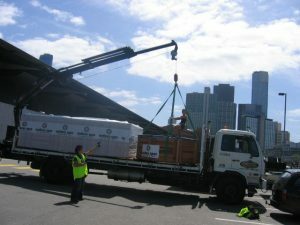 The bobcat is used to load the excavated soil into a kerbside tip truck which transports the soil to the closest tip. The smallest bobcat can fit through a doorway measuring 900mm wide. A mini excavator is 1800 mm high. 2. Placement will be governed by ‘Building Regulations’ and ‘Town Planning’. 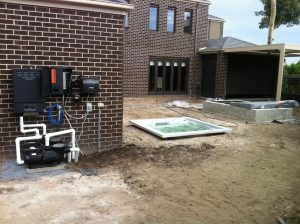 You cannot install over an easement such as stormwater drainage as they are permanent and run with the land. There is an allowable distance from an easement. This distance may vary depending on the depth of the easement excavation; however, allow at least 400mm until requirements are known. To find out if any easements exist on your property, obtain a Certificate of Title from Landata. There are some instances where easements are not registered on the Certificate of Title so instead, you can contact your Power and Water boards or Dial Before You Dig. The angle of repose is the maximum slope or angle at which soil remains stable without falling or sliding. Each individual pool has its own angle of repose. i. Excavation is not allowed within the angle of repose if it will affect the support of an existing building (house, garage, shed). As a guide only, you could calculate the distance required from a building as the depth of the spa/pool. In some situations the excavation can be less than the angle of repose; however, this generally involves underpinning or some other form of foundation works to protect buildings from being undermined. ii. Soil conditions will dictate the excavation location. Filled and slopping land may need retaining walls to be built. i. Where a boundary fence acts as a safety barrier to the spa/pool, it should not be less than 1800mm. ii. Permit restrictions usually include a 900mm drop exclusion zone from a boundary fencing as long as the fence has a height of 1800 mm. Exemptions may apply in some circumstances if a taller fence or barrier is installed. iii. All doors and sliding doors are not permitted to open directly into the pool enclosure and windows are to be protected in accordance with AS1926-2012. Planning permits are legal documents giving permission for a land use or development and may be required by your local council. 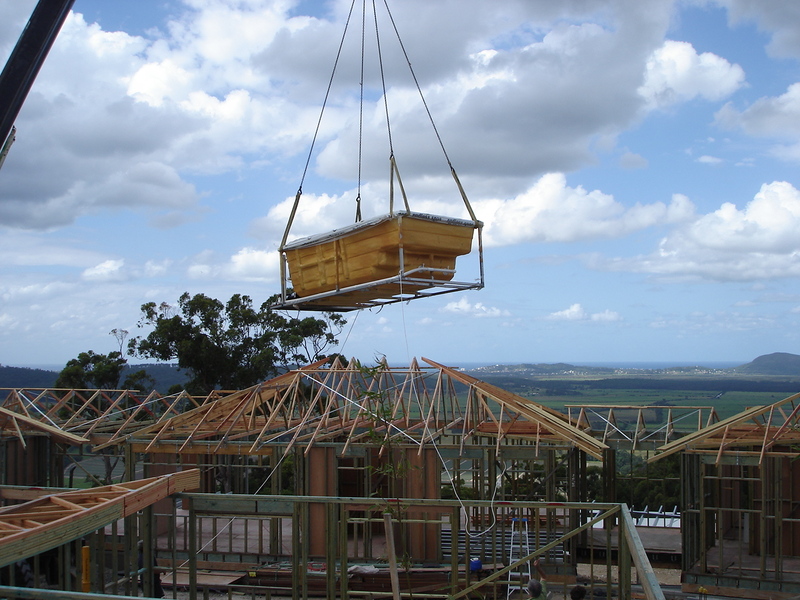 If a planning permit is required, it must be obtained before a building permit can be issued, however, both applications can be made at the same time. 1. Zoning – All properties have zone regulations. 2. Overlays – Some properties have overlay regulations**. 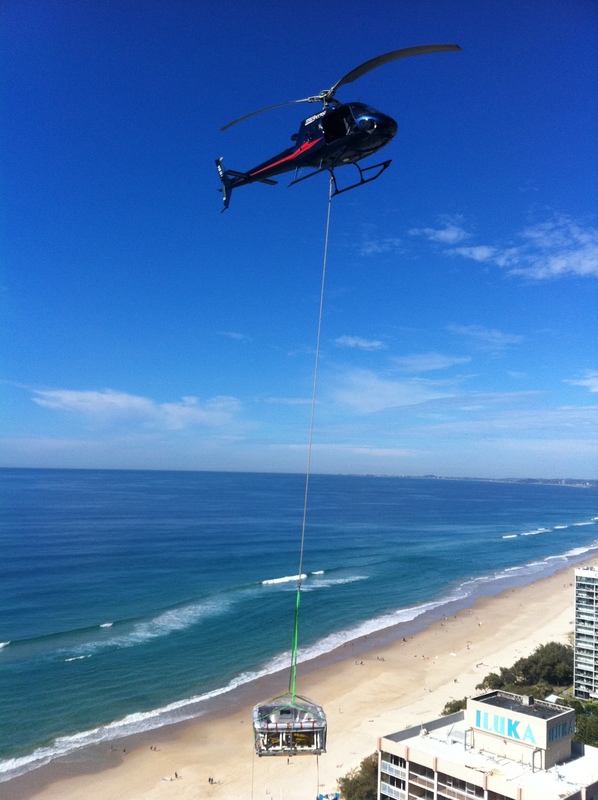 **If your property has particular characteristics, such as waterways, heritage character, and locally significant vegetation or other constraints or features, overlays will apply to the property. To understand what this means if you are proposing installing a pool on your property, it is recommended you contact your local council’s Town Planning Office or Landata. 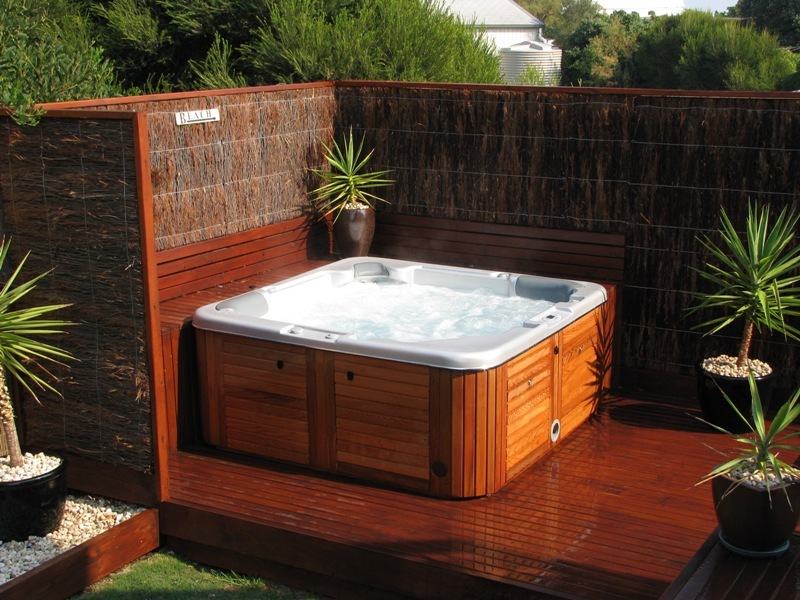 What's involved in installing an inground spa? 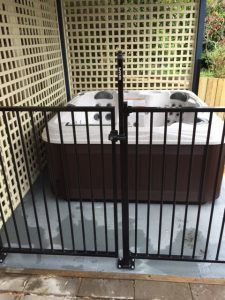 Does an inground spa require a fence? Pool & Spa barriers are required by legislation for any swimming or spa in excess of 300 mm in depth and must be maintained for the life of the pool or spa. A safety barrier can be made of any material that can withstand likely conditions such as weather, pool chemicals, insects, salt water spray, impacts etc. They must have an effective perpendicular minimum height of 1.2 m.
A lockable hardcover does not meet these legislation rules and therefore cannot be used as a legal barrier. The main aim of a spa or pool barrier is to restrict access by unsupervised children, especially those less than 5 years of age. To ensure this there is an Australian Standard (A.S 1926.1-2012) which forms part of the legislation. Boundary Fences – Existing boundary fences can be used as a barrier to a solid finished surface and have no climbable elements within 900mm measured from the top of the inside of the fence. Gates – Gates must open outward (away from the pool or spa area) and must return to closed position and engage the latch automatically from any position. They cannot be re-opened without using the manual release mechanism. 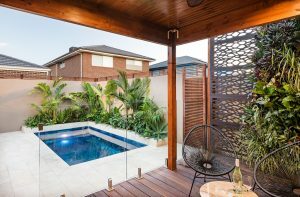 Walls – External walls of a building such as a brick wall can be used as a pool and spa barriers as long as there are no door openings or windows. Doors – Doors are prohibited from opening into a spa area. Windows – Windows are only acceptable when they are totally closed (fixed) and only can be removed using a tool, or fixed to only open a maximum of 100mm. Please note this is only a general summary of A.S 1926.1 and is current as of August 2016. Please contact us for further information, see the Victoria Building Authority for more details. What makes a quality portable spa? The first modern-day spa was created in 1956 by the Jacuzzi brothers in America with the invention of the Hydrotherapy jet. The brothers incorporated several hydrotherapy jets into the shell of a bathtub, added a water pump and the first spa was released in 1968. 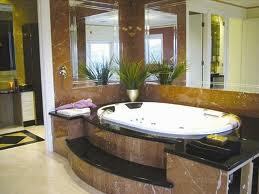 Today there are many USA spa manufacturers including Artesian Spas. American spas are renowned for their shell quality and superior hydraulics. Below is a video showing how our quality portable offerings are made in Artesian Spas® world-class facility. What's involved in installing a portable spa? Does a portable spa require a fence? A safety barrier can be made of any material that can withstand likely conditions such as weather, pool chemicals, insects, salt water spray, impacts etc. They must have an effective perpendicular minimum height of 1.2m. 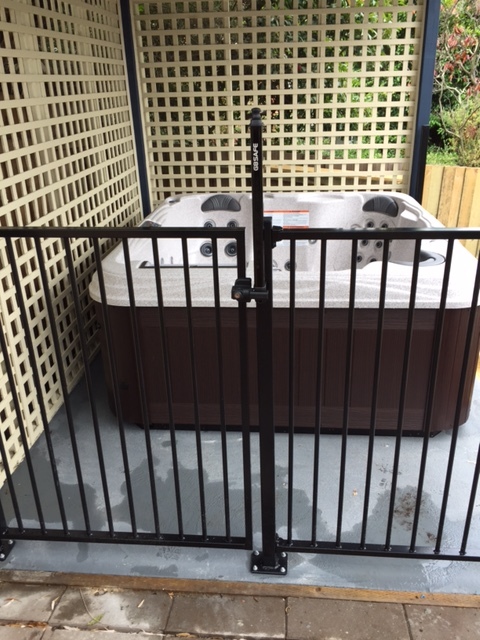 The main aim of a spa or pool barrier is to restrict access by unsupervised children, especially those less than 5 years of age, to ensure this there is an Australian Standard (A.S 1926.1-2012) which forms part of the legislation.